"We know that was a fake walk-through, Doug. Not cool. We spent all night setting up spy cameras, and you ruined it." The New England Patriots are cheaters. By definition, that's just what they are, as they have been caught cheating on multiple occasions and punished for it. If there are any Patriots fans reading this, talk yourselves into whatever conspiracy you'd like about your cheating team, but they are cheating cheaters. Because the Patriots are cheaters, the Philadelphia Eagles apparently safeguarded against the Patriots' cheating ways while conducting their final walk-through at US Bank Stadium on Friday before the Super Bowl. Long snapper Rick Lovato revealed that the Eagles did not practice plays that were in the game plan during that final walk-through, according to Mike Florio of ProFootballTalk.com. Appearing on 620 WDAE in Tampa, long snapper Rick Lovato said that the Eagles specifically didn’t run plays like the “Philly Special” at U.S. Bank Stadium. “We had run that play during a walk-through like two weeks ago,” Lovato said, adding that the Eagles purposefully did not run the play in Minnesota due to concerns that the Patriots may be watching. 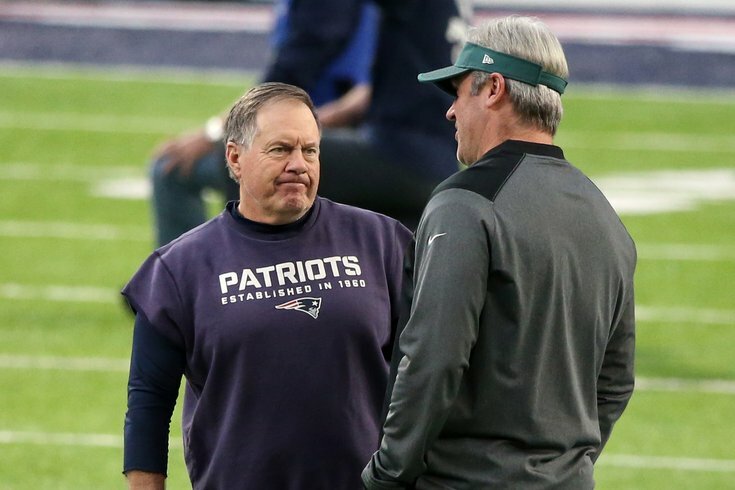 Because the Eagles felt compelled to have a fake walk-through two days before the game, even if the team already had the game plan down pat, the fact that the Patriots are cheaters still works in Bill Belichick's favor, because other teams waste energy safeguarding against the cheating. Ultimately, the Eagles won the Super Bowl, so the Patriots' long, documented history of cheating didn't matter.